Don’t be intimidated by what you don’t know. That can be your greatest strength and ensure that you do things differently from everyone else. Willem studied international business and marketing in the Netherlands. After finishing his studies Willem travelled through South-east Asia for some time. After this adventurous trip, Willem moved to Berlin to further develop his SEO and marketing skills in different start-ups. 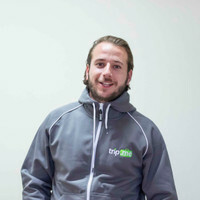 Travelling and marketing are his biggest passions, which he can combine both while working for trip.me.